Rating: R for some language and a scene of sexuality. Starring: Gemma Arterton, Sam Claflin, Bill Nighy. 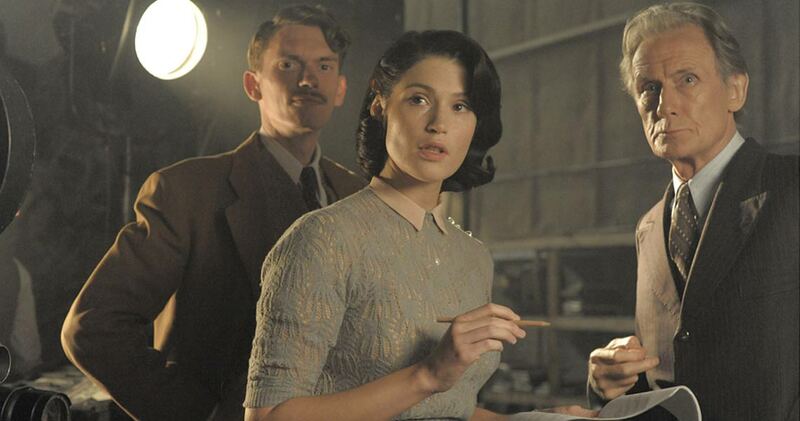 “Love and laughter flow so naturally in “Their Finest” that it is almost (almost) easy to forget there’s a war on. An unalloyed charmer, the movie tells a story of familiar British grit and resolve during World War II from an attractively different angle: that of an advertising copywriter, Catrin Cole (Gemma Arterton), who’s recruited by the government to join the film industry. Britain wants the United States to enter the war, and has decided cinematic propaganda is the way it can persuade the movie-mad Yanks to sign up. The world is facing a historic catastrophe, after all; but for this ambitious young woman it’s also a bittersweet opportunity.